Google Reader has been officially taken offline since it’s shut down announcement was made on the 14th March 2013. 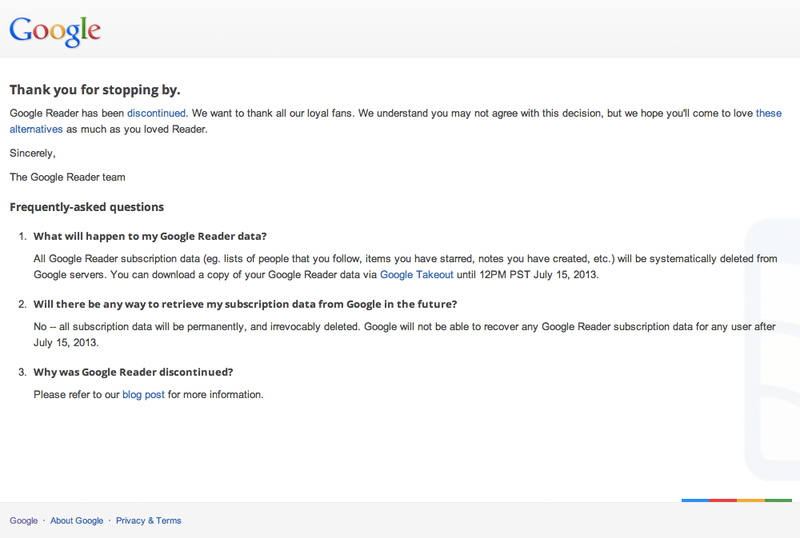 Farewell Google Reader! May you rest in peace. 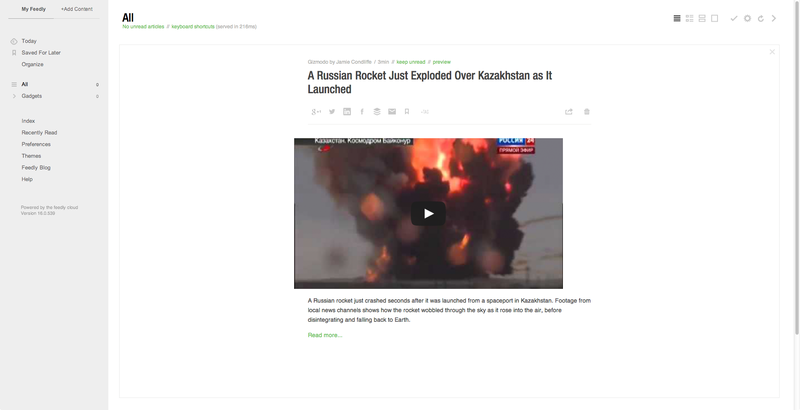 I will be moving on to Feedly. This page is generated on 18th April 2019, 14:33:27 (UTC) in 0.256s with 20 queries using 2.0 MiB of memory.